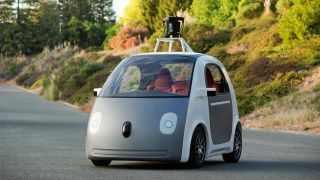 Google's driverless car failed to make an appearance at this year's Google IO developer conference. As disappointing as that was, Google made up for it today by upping the transparency on the accident records for its self-driving cars. The company's recent eight-month driverless car trial wrapped up, resulting in only minor fender-benders of 4 of its 23 self-driving vehicles throughout the duration. Aside from the company outright refuting responsibility for the accidents, the extra details surrounding their cause were murky, at best, but not anymore. On its recently published Self-Driving Car Project site, Google has begun providing monthly reports in the form of a PDF file that are accessible even without a Google account. Starting with May 2015, the search giant will be providing, in painstaking detail, an account for each of the accidents its autonomous vehicles get into, as well as how the team is improving from it. Releasing this information publicly as the project moves forward is valuable, as the inner workings of driverless vehicles, for many, is somewhat unknown. But does this mean that Google's self-driving cars is any closer to launching? It's not likely. The site's FAQ section states that "In coming years, we'd like to explore other cities that can teach us about different types of challenging weather and terrain. We'd also like to run small pilot programs with our prototypes to learn what people would like to do with vehicles like these." If there's any big news on Google's autonomous vehicles at next year's IO conference, it could be, as the site states, that the project is moving on to new locations, which brings us ever closer to its retail release.